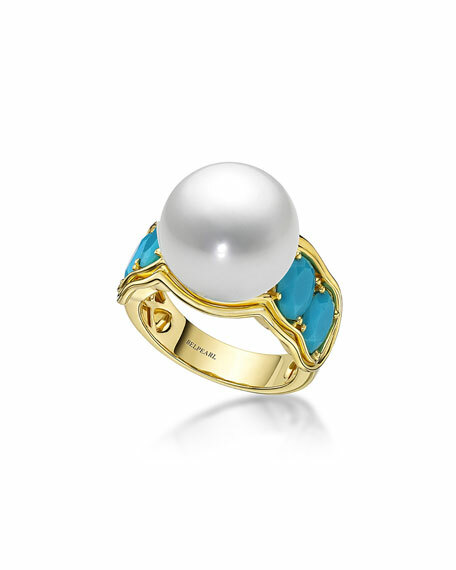 Belpearl ring from the Aura Collection. Naturally colored South Sea cultured pearl,14mm. Turquoise sides, 2.27 total carat weight. For in-store inquiries, use sku #566130.